For people who want to create personalized baptism invitations for the baby girl, this beautifully designed baptism invitation template is obviously a wise choice. Simply add your details to get your own christening invitation! 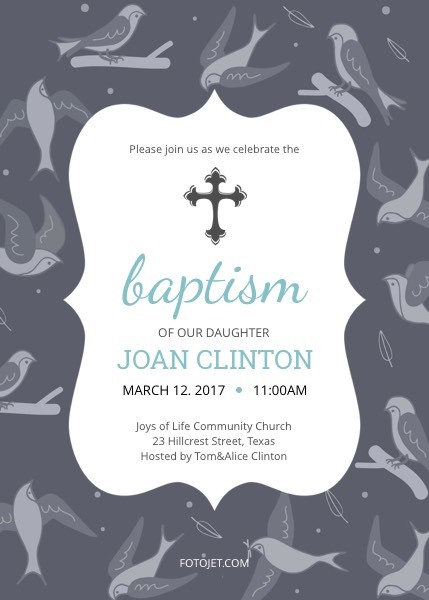 Although the template is designed to make baptism invitations for girls, you can customize it for boys or make other designs.